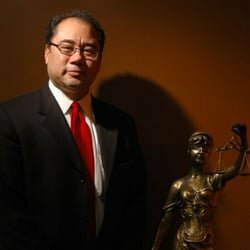 Firm Overview | Abella Law Firm, L.L.C. Abella Law Firm LLC’s goal is to provide information on driving while intoxicated and driving under the influence laws and penalties, criminal law, and driver's license suspensions. The firm focuses its practice on DUI & DWI defense and criminal defense, representing clients courts in the States of Missouri and Kansas. As a dedicated criminal defense attorney, I understand how a criminal charge can impact your life, not just in the short term, but years into the future. That’s why I take each case seriously and give you the personalized attention your charges require. The Abella Law Firm, LLC understands that being arrested or charged with a crime is a frightening experience. Our law firm's mission is to aggressively and tenaciously defend our clients, even before the case reaches the courtroom. When you are facing charges that have the potential to change your life forever, you need someone advocating for your rights and exploring all possible options in your defense. That’s my job as a Kansas and Missouri criminal defense attorney and it is a responsibility I take seriously. "I understand how a criminal charge can impact your life"
If you have been accused of a first or repeat DUI in Kansas or Missouri, you need a dedicated DUI defense lawyer like Greg Abella working to protect your rights, apply for a hardship license, and explore all avenues for a reduced or dismissed charge on your case. Any misdemeanor or felony charges at the federal or state level in Kansas or Missouri can impact your future. As soon as you are charged, contact criminal defense lawyer Greg Abella for personalized and experienced representation. A criminal record can haunt you for years to come. In both Kansas and Missouri, you may be eligible to have your record expunged so you can move on with your life and leave the past behind. Only a knowledgeable criminal defense lawyer should help you with this process. Whether you’re facing misdemeanor charges or a felony, you need a lawyer who is preparing your case for trial. In some cases, getting the charges reduced or dropped before we go to trial is a viable option, and I work hard to make this a reality whenever this makes sense for a case. It is possible that we may be able to pursue alternative sentencing after you have been charged, but I never lose focus on developing a comprehensive defense strategy. Although it’s my goal to identify the most appropriate strategy and outcome for you, it’s important that you have a lawyer preparing for trial in the event that your case goes that way. You need to know your rights under the law, and immediately act to protect them. Do not delay in contacting an attorney. Some of your rights and privileges may need immediate attention from an experienced attorney to give you the best opportunity for a favorable result.